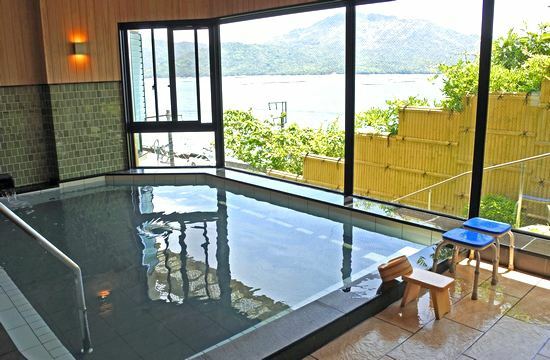 Unwind from your trip to a view of Miyajima before you, and feel your body relax as you sink into the white steam wafting from a hot spring. “Marumie-roten” rooftop open-air bath. Enjoy the panoramic scenery looking out over the sea and sky. The large public bath (south-eastern side) facing Miyajima and the Onoseto Strait. 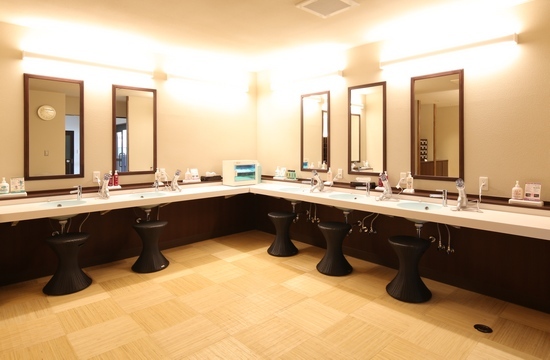 The change room connects to the “Nozokimi-roten” bath. 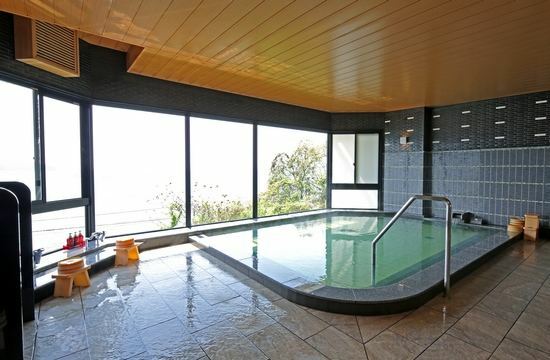 Looking at the ocean from the large communal bath (south-western side). 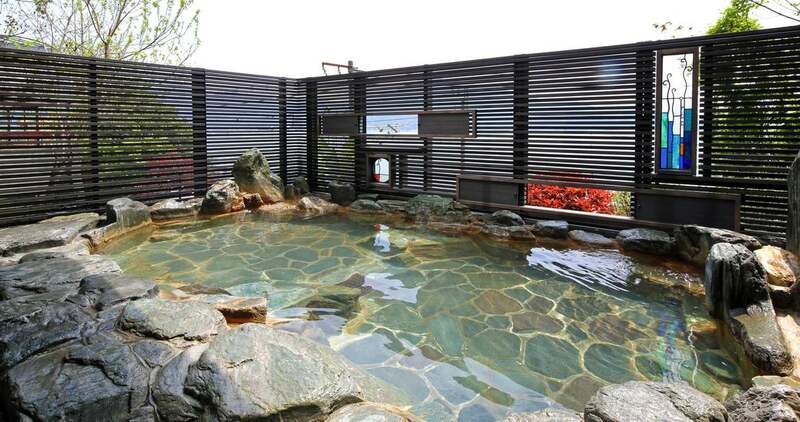 The bath connects to the “Marumie-roten” open-air bath on the roof. The large communal bath and open-air bath change daily for men and women. 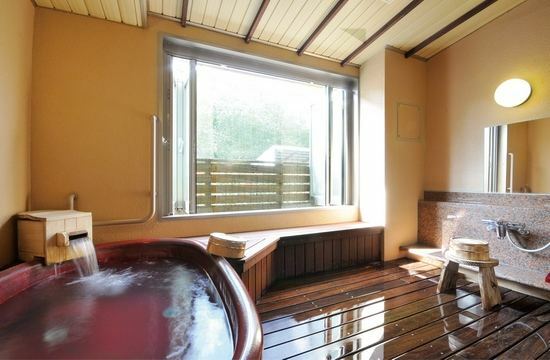 The bathtub in the private bath is custom-made Shigaraki ware. Enjoy your private bath time to the gentle aroma of hinoki cypress. 1,500 yen for 45 minutes (taxes not included). The change room has been newly renovated along with the large communal bath. *The baths are available for use by the public. *Baths may be closed for facilities inspections. Please check for closures in advance. *Private baths are not available for public use. Free-flowing/circulating Filtered circulation system that heats and regulates water to control the temperature.